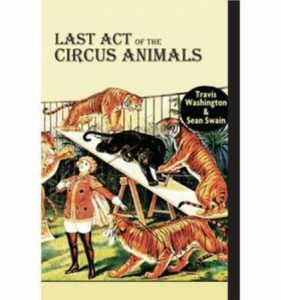 Sean Swain is a hostage held by a lawless rogue-state calling itself “The State of Ohio.”1 He has been held without legal conviction or sentence since 1991 for the self-defense killing of a court official’s relative who broke into Sean’s home and threatened his life. 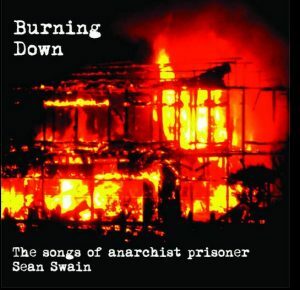 In fall of 2012, prisoners calling themselves the Army of the 12 Monkeys (A12M) got rowdy at Mansfield Correctional, and the prison authorities assumed “that anarchist” Sean Swain must have been behind it and threw him in supermax isolation. Sean denies any involvement or affiliation with the A12M and is in the process of suing the ODRC for targetting him based exclusively on his ideology and political speech. Sean is the only son of a retired auto worker and stay-home mom. He has renounced his high school diploma, his college degree, and his honorable discharge from the U.S. military. 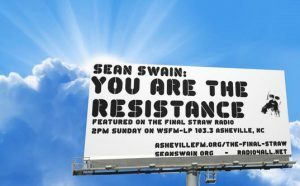 Before being taken hostage, Sean worked as a newspaper columnist and as a union organizer. Sean is mounting his most recent run for Governor of Ohio in 2018. If elected, he promises to decommission the Ohio National Guard, empty Ohio’s prisons and turn them into squats, recognize Native American land rights as set forth by the Treaty of Greenville, arm the tribes with national guard weaponry, to include tanks and attack helicopters, refuse to sign any budget causing the government to shut down, and sign an Executive Order making it legal to assassinate him if he remains in office longer than 90 days. Though innocent of any crime, and though he is held without legal conviction or sentence, Sean will only be liberated when the illegitimate power of the lawless rogue state holding him hostage is abolished once and for all. The State started the war. Sean Swain intends to finish it. 1. 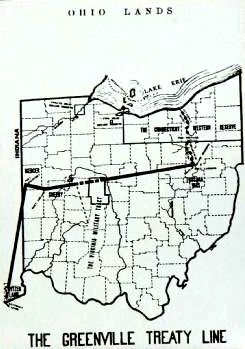 The Treaty of Greeneville in 1795 established most of Ohio as unceded “Indian Territory.” The so-called “State of Ohio” has no legal claim whatsoever to exercising authority over this territory. 2. See, Sean Paul Swain v. William Fullenkamp, et. al., U.S. District Court Case No. 3:09-CV-2659, Judge Jack Zouhary, Decision, 19MAY10, p. 2. Nelson Mandela, Vaclav Havel, Thomas Jefferson, Henry David Thoreau, Malcolm X, Emma Goldman, Huey Newton, Frantz Fanon, Abbie Hoffman, Ward Churchill, and Martin Luther King Jr., were all accused in their own times of “promoting anarchy and rebellion against authority.” It would seem Sean is in much greater company than is Judge Jack Zouhary.